Home / General / What is Blue Light? We've heard of UV rays, and being told as it's harmful to your skin, risk getting skin cancer. However, have you heard of the BLUE light? Blue light is a colour in the "visible light spectrum" that can be seen by the human eye. Blue light has a wavelength of between approximately 380nm and 500nm; making it one of the shortest, highest-energy wavelengths. Scary thing is, we are always exposed to blue light especially with the modern lifestyle. 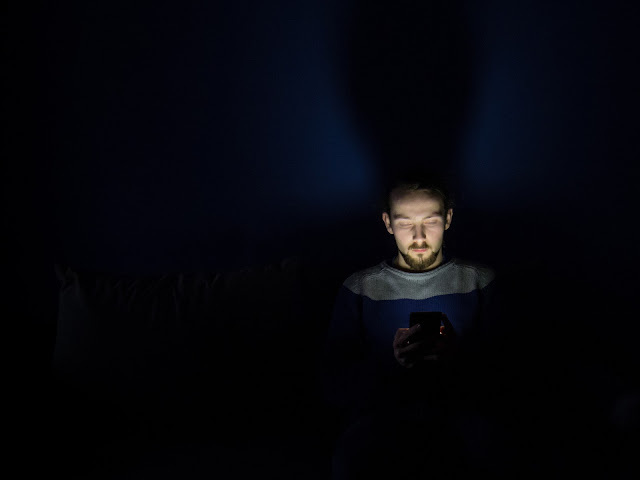 Sources of blue light include the sun, digital screens (TVs, computers, laptops, smart phones and tablets), electronic devices, and fluorescent and LED lighting. Blue light might not be as hot as sun light, but it can be harmful too. Get yourself some rest in between screens, a computer glasses is good too to filter the blue light. For skin wise, you can use this sunscreen that blocks blue light too.